What. A. Weekend! We had such a great time this weekend at bridal market in NYC, meeting new designers, seeing all the brand new gowns, and visiting with our favorite vendors from all over the world. We had the best intentions of taking tons of pictures to share with you, but were having so much fun we didn’t make it out of the city with as many as we had hoped. Not to worry, we will be the first store in the country to have the trunk shows for most of our designers, so you will still be the first to see these styles for yourselves! 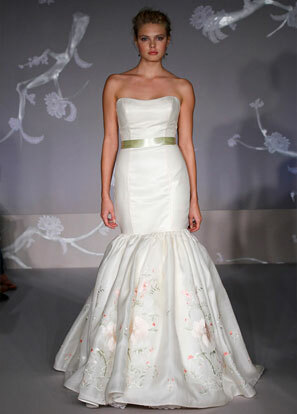 For now, we will tide you over with just a few pictures from our favorite collection for Spring 2011: Tara Keely by Lazaro!